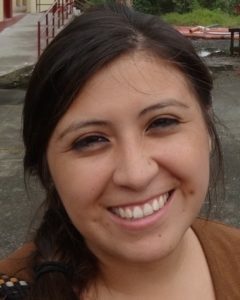 Yesenia Barragan is a historian of modern Latin America and the Caribbean and a Postdoctoral Fellow in the Society of Fellows at Dartmouth College. She specializes in the history of Afro-Latin America and the African diaspora in the Americas, with a focus on race, slavery, and emancipation in the nineteenth and twentieth centuries. Dr. Barragan earned her Ph.D. in Latin American History at Columbia University, where she was a Ford Foundation Fellow, and her B.A. in Philosophy and History from Brown University, where she was a Mellon Mays Undergraduate Fellow and Beinecke Scholar. Her current book project, Frontiers of Freedom: Slavery and Emancipation on the Colombian Pacific, explores the protracted process of the gradual abolition of slavery (1821-1852) and the aftermath of emancipation on the frontier Pacific lowlands of Colombia, the former gold mining center of the Spanish Empire. Yesenia is also a longtime activist and has served as a legal expert for asylum cases in Latin America. She was previously a monthly opinion columnist for the Latin American news agency Telesur. Follow her on Twitter @Y__Barragan.